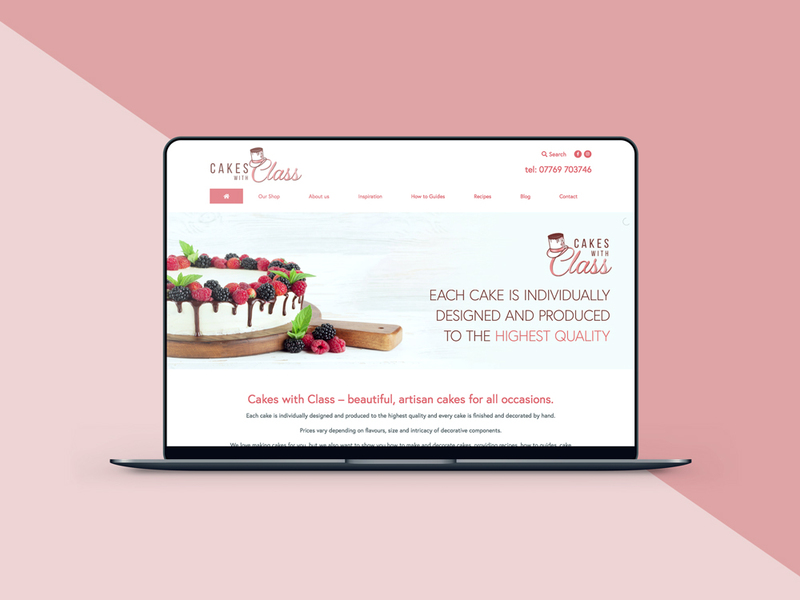 Along with new >branding<, we were tasked with creating a sleek, fully responsive website to showcase the wide range of services Cakes with Class offer. 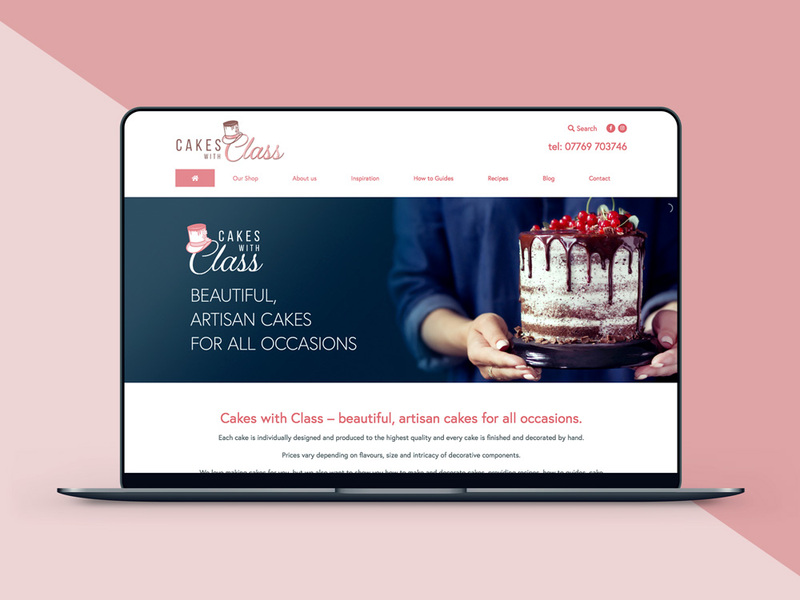 We wanted the cakes themselves to be the main focus on the homepage as they’re the main selling point for the company, so we incorporated impactful imagery of cakes alongside enticing slogans. 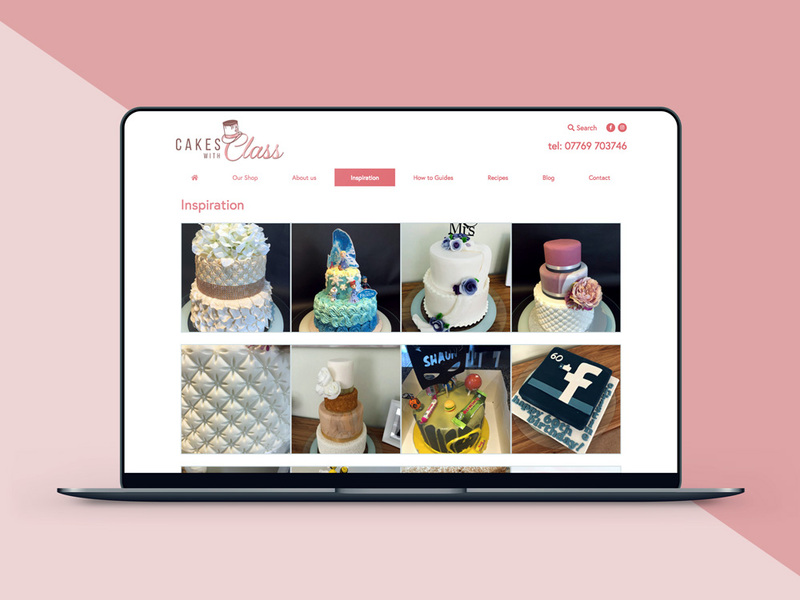 The site features different pages for customers interested in cakes, from placing an order to ‘How to guides’. 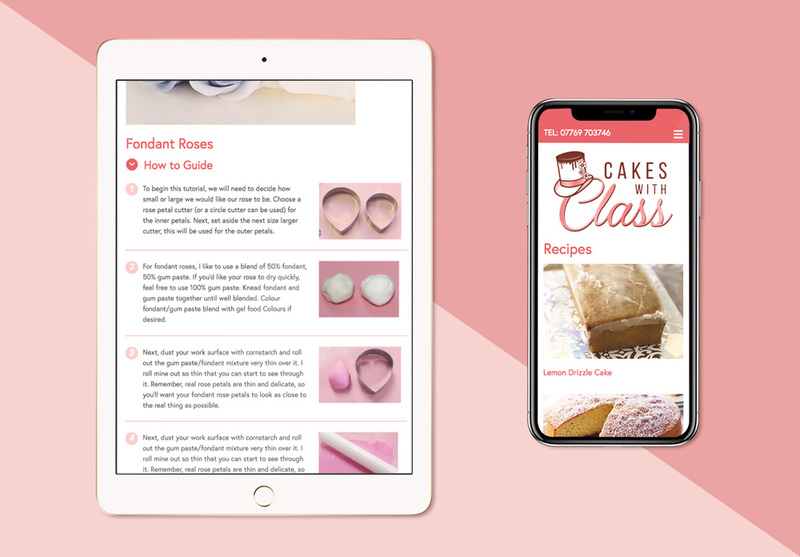 Each ‘How to guide’ offers different ways of carrying out the directions such as step by step details, video instructions or a downloadable PDF.